1. Circular rotation: buff your skin in gentle circular motions. 2. Don’t scrub too hard. 3. Be gentle on the face, particularly around the eyes. Here you might want to use a gentler product or a softerbrush. 5. Apply a moisturizing / hydrating lotion after cleansing. How to get clear, smooth skin. Exfoliate your face and let it glow. 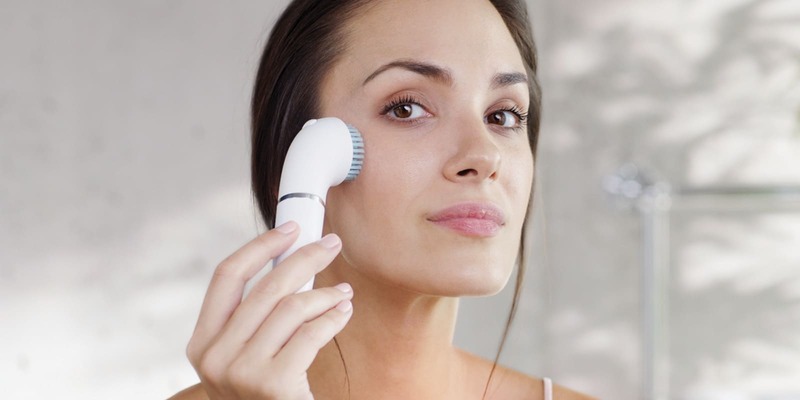 Gently and effectively buff away dead skin cells from precious facial areas to reveal fresh and youthful looking skin. 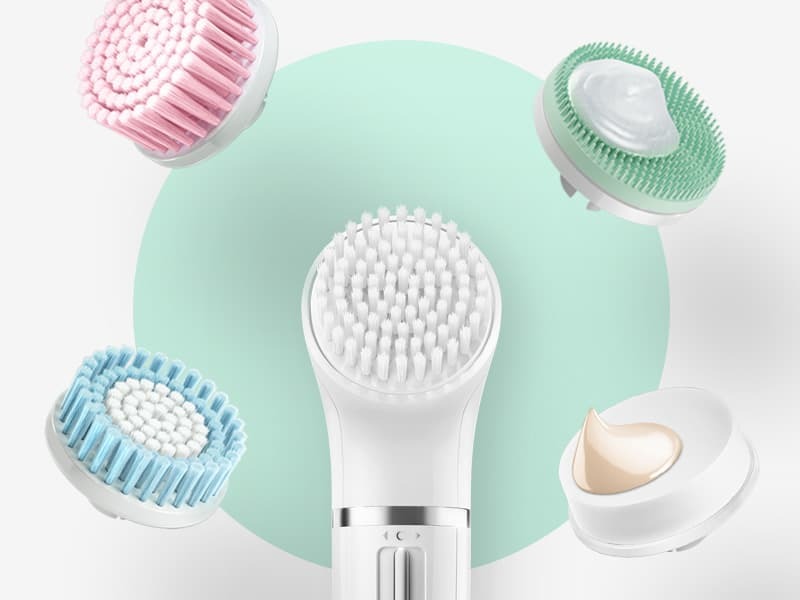 Braun FaceSpa offers a set of different heads to accommodate all needs: exfoliation brush, extra sensitive brush, normal brush, beauty sponge and the new skin vitalizing pad. Special brushes for different skin types. Gently restore your natural glow and remove make-up, dead skin and impurities with the broad range of exfoliation devices from Braun. 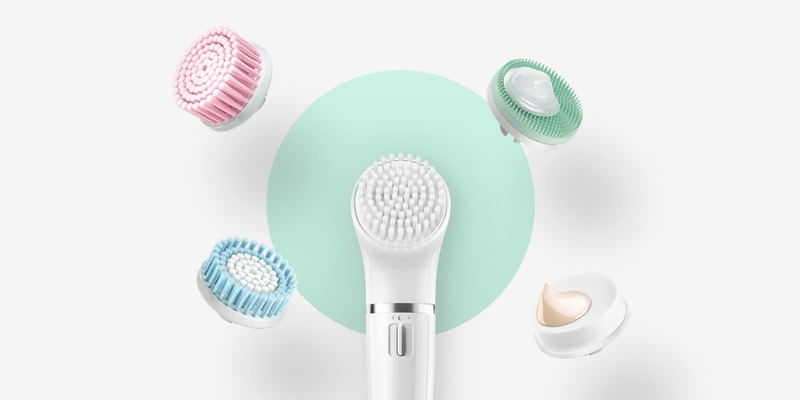 The extra sensitive brush is dermatologist tested and features extra soft bristles. 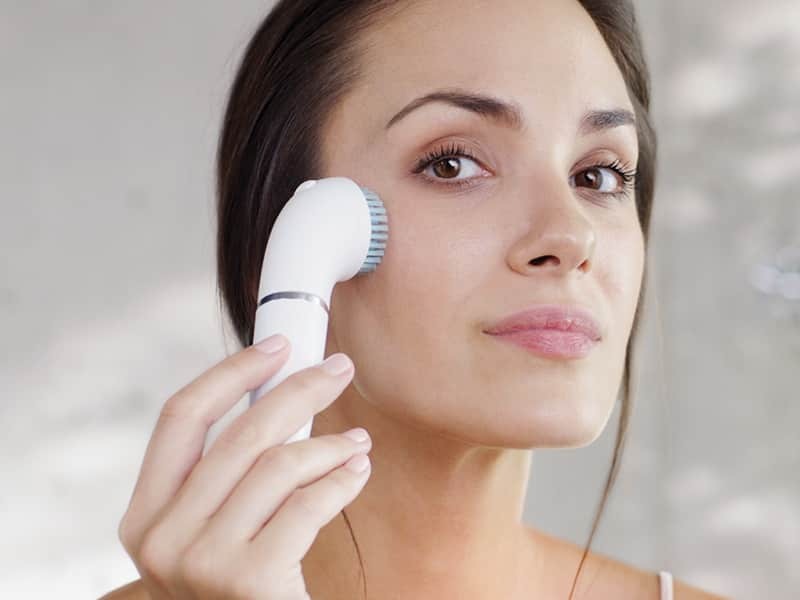 The exfoliating brush is very effective in removing dry and dead skin. A perfect combination of gentle and rounded bristles makes makes cleansing gel application even more effective.